View cart “1 Kitchen Composter” has been added to your cart. Take a big step towards eliminating your food waste and improving your garden’s soil structure with our premium bokashi bran. 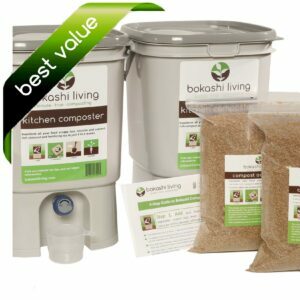 Made with the highest quality bacterial cultures and double fermented, our premium bokashi bran is teeming with live microbes which are ready to ferment and compost your food scraps. Each 1.75lb bag of bokashi bran is enough to ferment 4 full kitchen composters. For an average family, this is at least 2-3 months worth of food scraps. Find out what’s exciting modern soil biologists, and discover for yourself how your plants will thrive on the garden friendly probiotics packed within this premium bokashi bran. Note: Best shipping rates on purchases of 2 or more bags of bokashi bran. 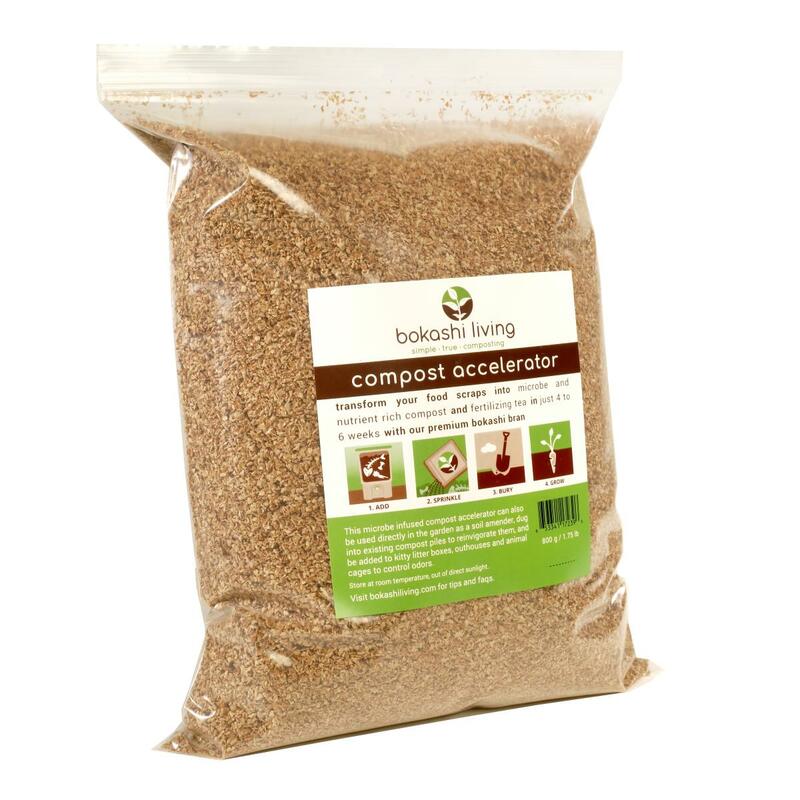 Our premium compost accelerator (bokashi bran) is a careful mix of bran and molasses, and is infused with billions of beneficial bokashi microorganisms. It has been double fermented, using the highest quality bacterial cultures (enhanced EM1 +), to ensure that it’s teeming with billions of live microbes, ready to ferment and compost your food scraps. These beneficial microbes are proven to be a key ingredient for building healthy and productive soils, and plant roots thrive on them. Each airtight, zip-lock style bag contains 1.75lb of carefully dried and tested bokashi bran, enough to last an average family 2 to 3 months with continuous use. Our strict production process ensures that our bokashi bran is always of optimal quality and freshness, before delivering to your door. dig it into existing compost piles to help re-invigorate them (this is especially popular during the colder winter months). 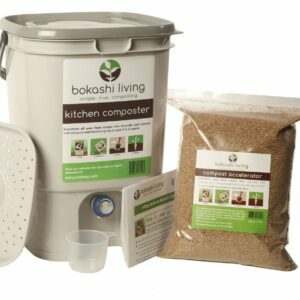 With the addition of bokashi, life quickly returns to the pile, greatly speeding up the pile’s activity and quality of compost. see great results by adding it directly to the garden as a soil enhancer. Simply dig in a cup of bokashi per cubic foot of soil before planting into your garden or potting containers. 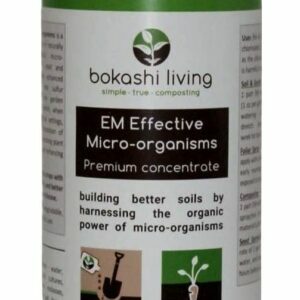 The bokashi provides perfect conditions for plant root development. add it to kitty litter boxes, animal cages and outhouses to help control odors. Simply sprinkle the bokashi bran in these areas for a noticeable difference. Bokashi bran is best stored in an airtight container, out of direct sunlight, and within a few degrees of room temperature. When stored correctly, our bokashi bran will remain fully active for up to 18 months. Our bokashi bags are zip-lock style, and can be considered as airtight for storage. Overall, shipping costs reduce substantially when ordering 2 or more bags of bokashi. Consider ordering 3 bags for optimal value. We choose our packaging carefully, always use materials that are recyclable, and avoid unnecessary packaging for all of our shipments. 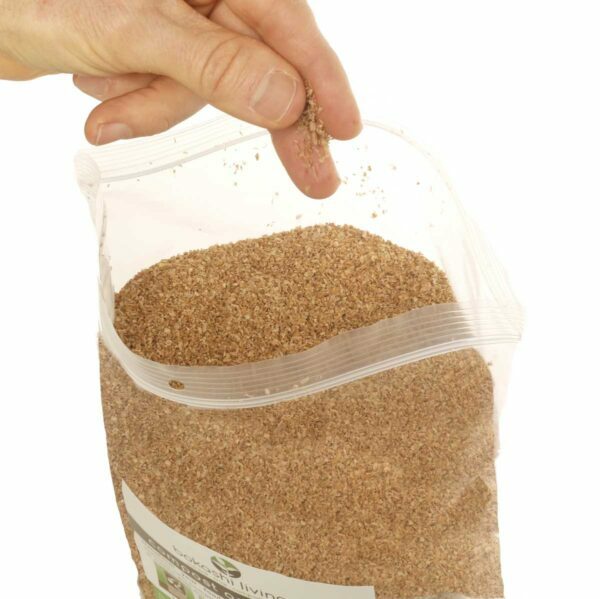 Our bokashi bran bags are made from 100% LDPE and are fully recyclable, where facilities exist. This is the same material as plastic grocery bags, meaning that our bokashi bran bags are recyclable wherever grocery bags can be recycled. We do not use styrofoam of any kind in our packaging, nor unnecessary tapes, stickers or film wrapping. All of our items are shipped in recyclable cardboard boxes. Please re-use or recycle. 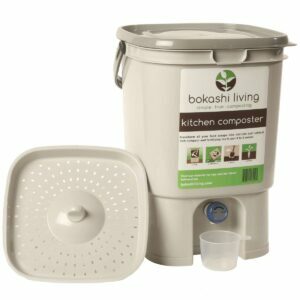 Bokashi composting is easy, works great and allows for a year round supply of rich compost for both my indoor and outdoor gardening season. I’m so glad to have found your company.